Ahh, summer! The season of parties, get togethers, family reunions, and all things party! Is it any wonder you can't wait for school to start, just so you can slow down? It is like needing a vacation from vacation. Seems the summers are as busy or busier than any school year. Do you always bring the same thing to parties? You know the parties where you are asked or expected to bring a dish, or an appetizer, finger foods, etc. Are you always pressed for time, or ideas and just end up stopping at the market on the way and buying something? I will admit, it has happened to me a few times. Sometimes it ISN'T my fault. Just to clarify. Regardless I am as guilty as the next guy for running into the store for some chips and salsa, chips and dip, some salad (gag), or a mix of all of the above. I think it is important to have a few of these little party recipes in your arsenal, don't you? 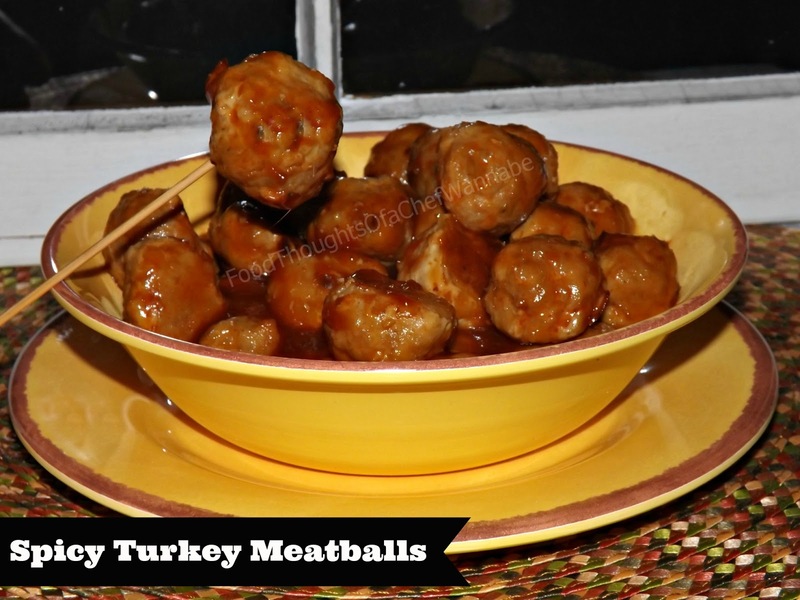 These little cocktail meatballs are perfect, in a bowl, in your crock pot. Yes, I said CROCK POT. Smack a small cup of toothpicks by it and call it a party! My husband thinks would go good on a little toasted roll for sandwiches as well. They definitely have a kick, I rarely give you spicy recipes, but this one, you can adjust the amount of heat, but come, just do it! These are quick and as I mentioned, you can simmer them on the stove, OR throw them in your crocky and set it and forget it! Preheat oven to 400 degrees F. Mix all ingredients until completely combined. Form into meatballs and place on cookie sheet. Bake for 10-12 minutes. They may NOT be done all the way at this point but it is OK because they will simmer in the sauce at least an hour where they will finish cooking! Combine in a medium saucepan and bring just to a boil, add meatballs and turn to low, cover and simmer for at least 1 hour. If using a crock pot, prepare sauce in the crock pot, turn to low and add meatballs, let go for 4 hours, you can serve right from the crock pot as well! This is just one of those dishes that gets better the longer the meatballs sit in the sauce. Make them the night before and reheat the next day even!